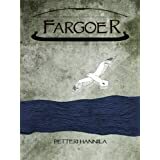 I received a free copy of Fargoer for the purpose of an honest review. What a fantastic story. It completely captivated me from start to finish. The setting and characters are brought to such three-dimensional life that I felt like was right there with them. We begin with Aure and Vierra, thirteen-year-old cousins who are on their way to see the First Mother, a rite of passage all young girls must go through after they start their menstrual cycle. The First Mother tells them that only one of them can be the next Chieftain and they must fight each other to the death right there to see who will go on. For the future of their tribe, there are two possible scenarios. If Aure defeats Vierra, their people will prosper at first, but eventually outsiders will invade their territory and wipe their people out. They would disappear forever. If Vierra wins, their people will suffer in life, but they would persevere as far into the future as the First Mother could see. Vierra wins the contest, but doesn’t have the heart to kill her cousin when the opportunity presents itself. This will be the first of many crossroads she will face throughout her life. From this point on we follow Vierra in a series of short stories, each one depicting a time in her life when she was faced with a difficult decision. Each story is self-contained and yet they all pull back to each other. I found it amazing how caught up in her life I became on an emotional level, the mistakes she made reminding me of my own lapses in judgment, and the consequences one must pay because of them. Who hasn’t looked back on key areas of their life and wished they’d traveled down a different path. It is a story of discovery and growth, and the perseverance of a strong spirit when the future offers so little hope. It’s hard to imagine anyone, young or old, male or female, being unable to connect in some way with Vierra and the life she tries so hard to keep control of. I look forward to reading more about her in the near future. An excellent beginning to what I hope will be a successful series. Posted by Denna Holm on March 5, 2013 in Archives and tagged consequences, destiny, Spiritual journey, tense, warrior.